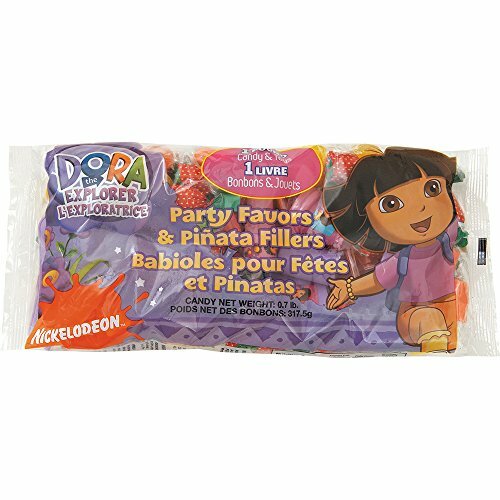 1 pound of dora the explorer pinata filler. It’s time for another exciting adventure with Dora and her pals with this Dora The Explorer Pinata Filler. Featuring 1 pound of party favors and candy, this bag of party treats will have guests eager to take a first crack at the pinata to get their hands on the treasure stashed inside. Be sure to coordinate this with a Dora The Explorer Pull String Pinata for an unforgettable kid’s birthday party.